For the inspiration challenge today at Splitcoast…Posh Vintage. I chose this beautiful dress as my inspiration. The cardbase is a 5 1/2″ square in Brilliant Blue. 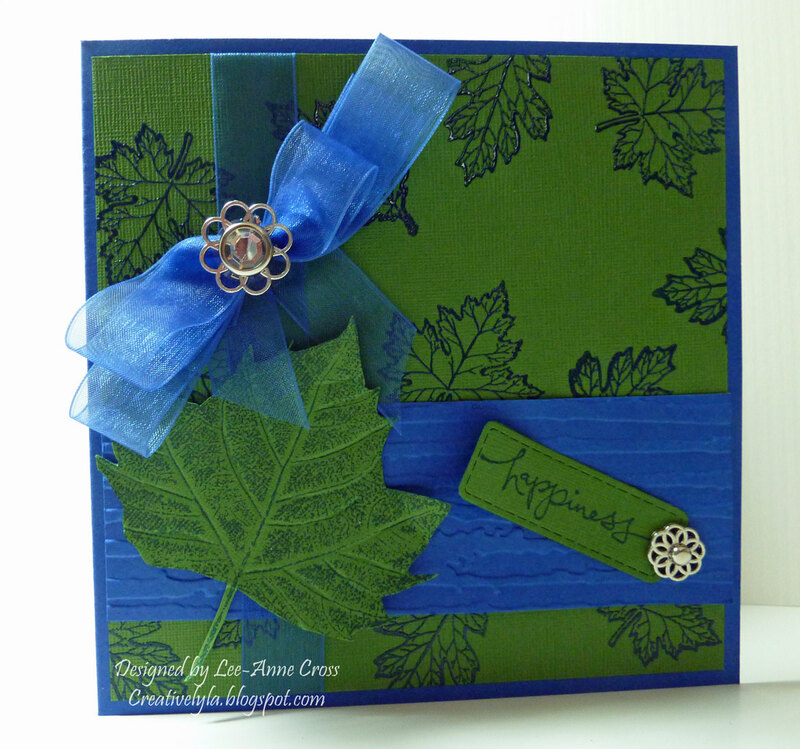 Next, I stamped and embossed the leaves in Brilliant Blue onto some Bazzill textured cardstock. Another piece of Brilliant Blue was dry embossed and added horizontally. I stamped a leaf in Brilliant Blue onto some of the green cardstock, then it was placed on a sponge pad and I traced the large veins of the leaf with a stylus to add dimension. The sentiment was stamped on a die cut tag and a flower brad was used to adhere it to the textured background. Next, I tied a simple bow and layered another larger flower brad with a rhinestone center to it. Another strip of sheer ribbon has been placed vertically behind the bow and over the textured blue cardstock. Hope your weekend is absolutely wonderful!